"The Dojang is where one comes to learn of humbleness and obedience, respect and good manners. It is where one observes leadership and commitment, friendship and unity. It is where one becomes not only physically tired, but also mentally strong and energetic." 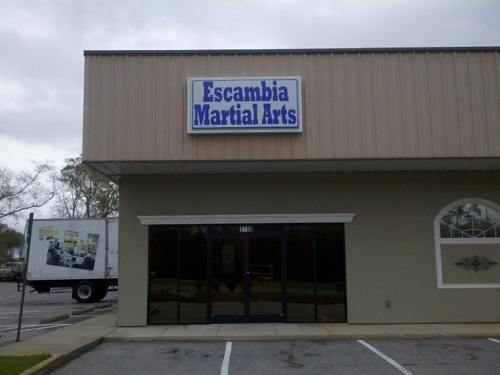 Escambia Martial Arts is a traditional martial arts academy. Not only do we teach usable physical skills and techniques of the various styles, but our black belt staff is dedicated to providing the finest possible instruction and guidance in order to develop and grow the total individual. Dojang is a term used in Korean martial arts that refers to a formal training hall. It is the formal gathering place for students of a martial art to conduct training and examinations.